A buffalo approaches Yellowstone’s boundary, entering Beattie Gulch, where hunters await. Photo by Stephany Seay, Buffalo Field Campaign. 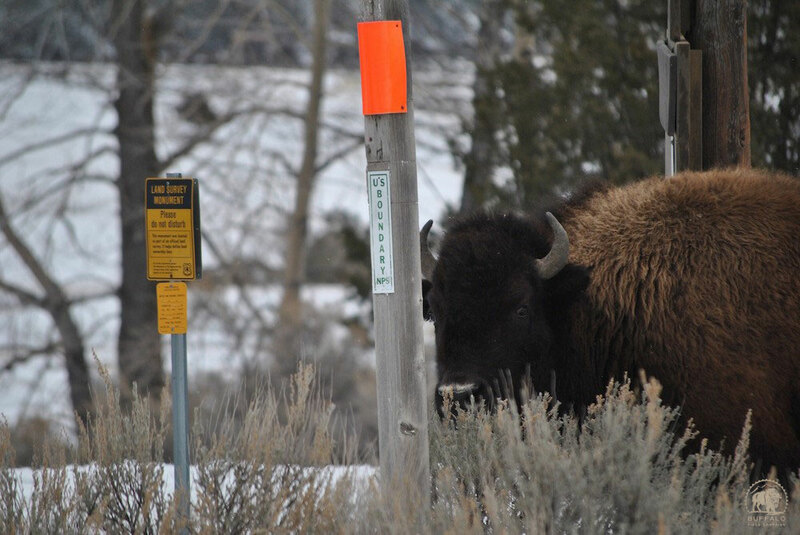 As we’ve been reporting, hardly any buffalo have migrated from Yellowstone into Montana this winter. The few who had come close didn’t stay long before heading deeper into the park. Regardless, hunters have been coming to the Gardiner and Hebgen Basins just hoping to find buffalo to kill, finding an empty landscape. Yesterday, however, a handful of hunters got their wish in Gardiner. No sooner than the first group of buffalo had migrated into Montana, fourteen were shot just across Yellowstone’s north boundary, at the infamous Beattie Gulch. Two of the buffalo who were shot fled back into the Park and were later found dead on the road. Those two buffalo will not go to huntersSome of the surviving buffalo retreated to the high hills, while a few others returned to the Park. As of this writing, there are once again no buffalo in Montana. One of the buffalo who was shot, fled into the Park, then died there. Photo by David Steinle-Neumann, Buffalo Field Campaign. Is it any wonder that buffalo have been staying out of Montana when this is the kind of welcome they receive? Through trapping and hunting, buffalo managers (read: killers) are letting buffalo know that Montana is not a safe place to be. Not only that, but the excessive killing year after year doesn’t go without consequence. Buffalo aren’t born knowing the best places to migrate, they are taught this by their mothers, aunts, and grandmothers. 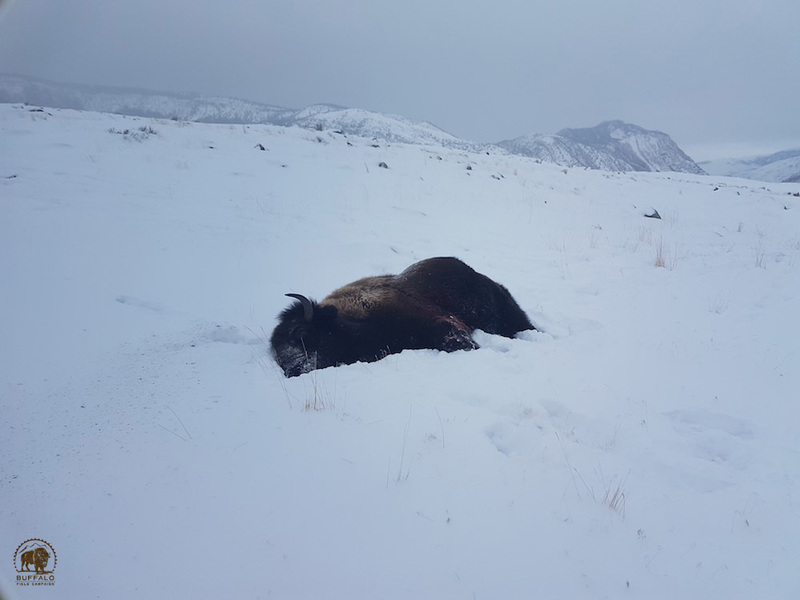 It is these buffalo who know the best routes to the best water, the best grass, and it is these buffalo who continue to fall victim to hunters’ guns and Yellowstone’s trap. There can be no doubt that migratory memory is being compromised; certainly buffalo behavior is changing due to these nefarious management actions. The gift of migration. Photo by Stephany Seay, Buffalo Field Campaign. I am reminded of some teachings shared by Robin Wall Kimmerer in her wonderful book Braiding Sweetgrass; she speaks of Pacific Northwest Tribes, Salmon People, who knew how to honor the gifts the salmon brought. When salmon were in the ocean and preparing to return to the rivers, the people would light beacon fires so they could find their way home, and they would also sing them welcoming songs. Once the salmon came to the rivers, the people would wait at least four days before taking a single fish. This is what Robin calls the Honorable Harvest. As our co-founder Rosalie Little Thunder said, the buffalo know their obligation, they know their purpose. Humans have forgotten theirs. 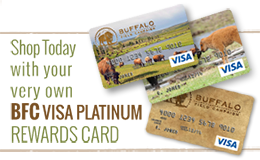 In many Buffalo Cultures, the buffalo made a pact with humans, offering themselves to take care of the people, and in return, the people would take care of the buffalo when they needed help. The buffalo have been needing help for a long time, but the people today who are taking from them give little in return, they don’t even allow them to be on the landscape for five minutes before they are gunned down. Like all beings, buffalo certainly exist for their own selves, but they could be one of the most abundant gifts, healing land, wildlife, and humans, but only if they are treated with respect. If their experience is seeing their families being killed every time they walk across a human-made line, never being allowed to flourish on the minimal habitat they’ve been granted by these “managers”, will they continue to want to cross that line? Hunters have the highest responsibility to take care of those who feed them, to ensure their survival, ensure that they flourish. Will hunters remember this obligation, this duty to the buffalo? 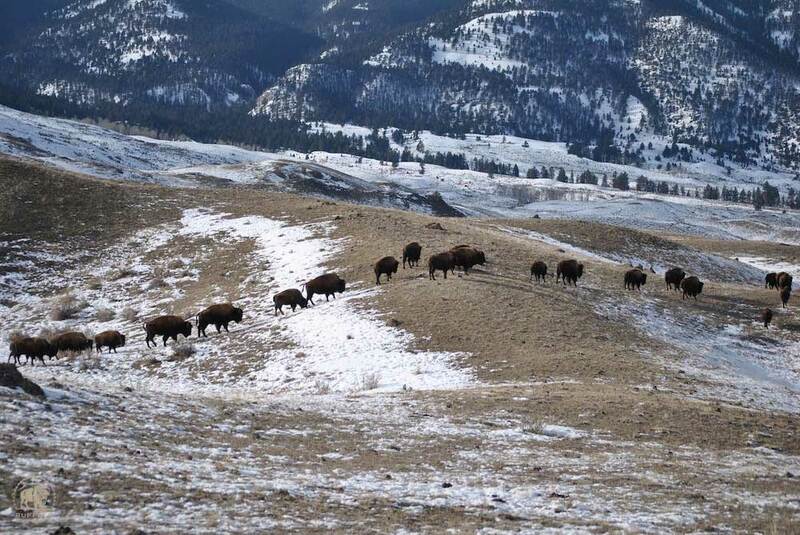 Can relationships with these sacred beings be re-established so that when buffalo migrate into Montana, they are welcomed with songs and prayers and granted freedom to exist and disperse on the land that is their home?